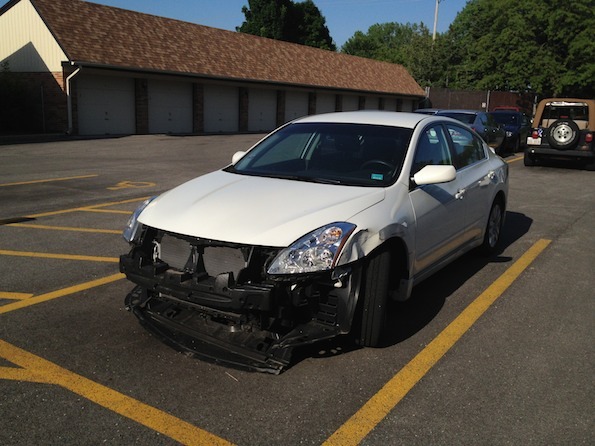 Nissan Sentra front-end smashed at hit-and-run private property crash. Still no leads for a hit-and-run property damage crash of a parked car in the 1100 block of South New Wilke Road. 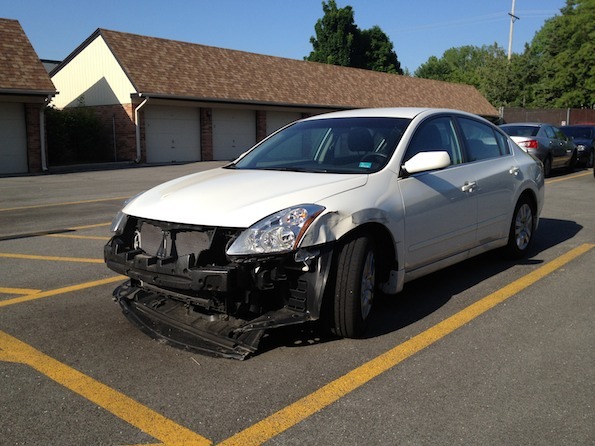 A white Nissan Sentra was hit in the front end while parked in a condo parking lot — possibly on Thursday, May 24, 2012 — date not confirmed. Fresh damage to Nissan Sentra that was hit while parked at Condo parking lot.